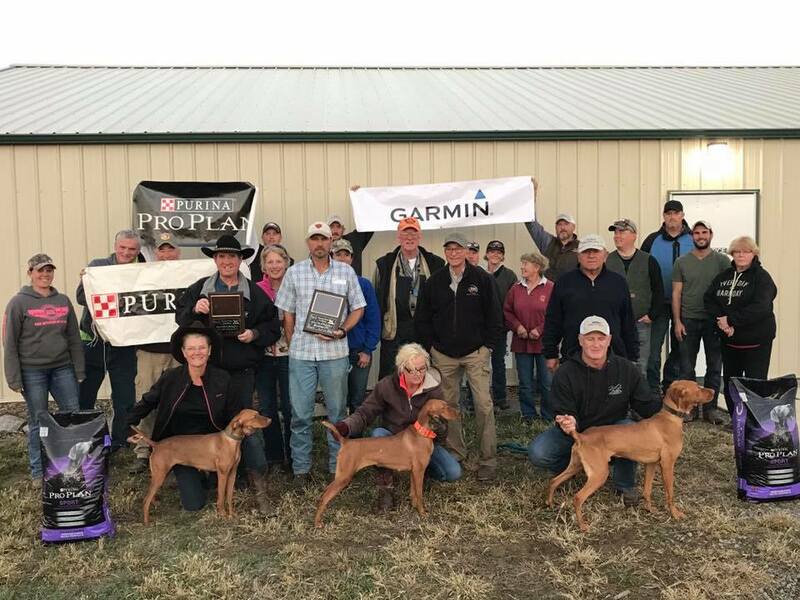 The National Vizsla Association continues to grow its circuit of championships and in the 13h year of the Quail and 10th anniversary as a championship event, an Amateur Championship was added to this prestigious event. Once again, we returned to the Denmark Grounds of Pyramid State Park in Cutler, IL with the added bonus of a brand new clubhouse. Through the generosity of monies, time, and hard work a wonderful clubhouse with meeting rooms, kitchen, and bathroom with a shower was constructed on top of the hill where the old Purina tent was erected each year as a shelter for bird dog clubs to use for their events. 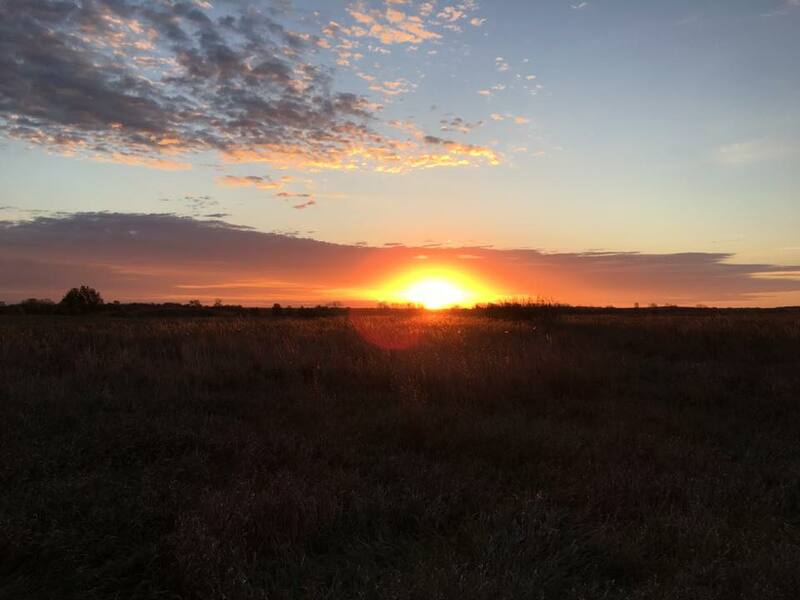 This structure was financed by many individuals in and outside the bird dog community and is a multi-purpose structure that was turned over to the state of IL to be enjoyed by many groups. What an amazing asset to the bird dog community. Spearheaded by Dr. Bill Roe with the Friends of Pyramid State Park, many people in the bird dog community like Peter Coppens, Diane Rakers, and Lori Rezzardi and others solicited funds, materials, and man power to help get this accomplished. The National Vizsla Association, NGPDA, NGSPA Region 5, VCA and other individuals and bird dog clubs donated to this great project. Cha Hill and his team continue to do a tremendous job managing the property and are very helpful and willing to work with the bird dog community to improve the courses for the championships and weekend events held there. Thanks to Lori Rezzardi for her help in being the site camping coordinator and in working directly with Cha Hills staff to get the appropriate mowing accomplished. Thanks to Peter Coppens, Tom Oswald, and many others who helped finish the interior work on the building. 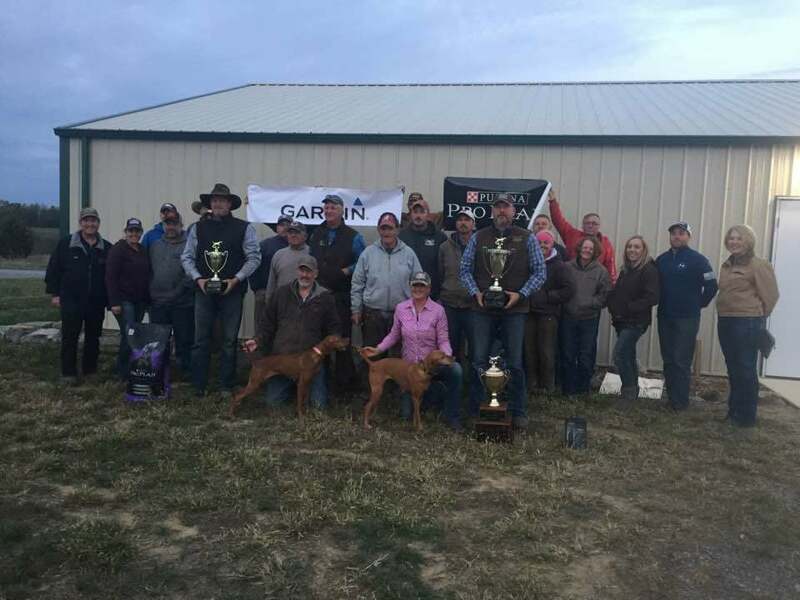 Special thanks to Greg Blair, Terry Trzinski, and the great people of Purina Pro Plan for their continued support of the NVA and this championship. Thanks to Warner Smith and Garmin for their support with donations of outstanding electronic collars for the winners. Thank you to my Co Chair Justin Hess, and derby stake manager Chad Chadwell for their help and support during the event. Thanks also to the army of people who helped in one way or another, be it running dog wagons, catching up birds, managing and cooking food, running the raffles, clean up, donating 4 wheelers and the list goes on and on. Thanks to Justin Hess, Chad Chadwell, Nancy Brown, Todd Meyer, Damon Daniels, Carrie Syczylo, Peter Coppens, Sheri and Mike Pharris, Jamie Fountain, Jarrett Bell and Paul Howard. We were truly blessed to have an outstanding group of judges. You know that there is a tremendous amount of knowledge sitting in the saddle judging the dogs when at the end of the day their drink of choice is Geritol energy support with an Advil. All kidding aside, in my 21 or so years of field trialing, the team of Tom Davis of Sylvania Ohio and Mark Johnson of Winnebago Illinois for the Open, and Dr. Pat McInteer of Falls City Nebraska and Mike Crouse of Dixon Kentucky for the amateur championship and derby classic did an outstanding job. First off, both Mark and Tom filled in on short notice when we lost 2 of our scheduled judges. Thank you for your sacrifice. The camaraderie, friendship, watchful eye, teamwork, helpful and positive attitude and story telling was a pleasure to watch and their insight and decisions were well received. Upon completion of the Open and Derby, we had a seminar for all at our judge’s dinner before the Amateur Championship in which Dr. McInteer spoke on Nocardia and Mike Crouse touched on a number of topics including preparing your dogs for trialing, marshalling, scouting and some AF history. Both these gentleman not only did an outstanding job speaking and answering questions, but where a pleasure to watch their interaction together in the saddle and with competitors. They set a consistent pace, were very positive, attentive, helpful to both newer and more seasoned competitors and their decisions were also well received. At the end of the week, if one did not learn something from all these men then you clearly weren’t paying attention. This chairman and author are deeply appreciative of their willingness to sacrifice their time and knowledge to share in judging our dogs and in helping educate and grow the great sport of field trialing. We had a good number of pros and amateurs which represented dogs from WI, IL, MO, PA, UT, CO, KY, TX, IN, and GA. The best part is we saw some new faces and some fairly new to AF field trialing. Thanks for all the continued support of this growing championship. Kick Em Up Kimber, owned by Jarrett and Alison Bell, and handled by Jarrett Bell seems to continue to age like a fine wine. I have had the pleasure to watch this dog perform since a puppy and feel she is having her best performances as an 8 year old. 34 dogs were entered and 34 came to the line. Kimber ran in brace 7 which was the first brace of day 2 on course number 1. Braced with Grid Iron Gal “Reno” owned by Vincent Tuttle both dogs were loosed at 8AM. Kimber excited the top bean field crossing the creek to the front. Upon crossing the creek, Kimber ran the edge to the right side of the lower bean field and worked the grassy ditch that divided it from the large field and headed left. Bell called point at 10 with a nice covey find. Shortly thereafter, Grid Iron Gal was picked up after a breach of manners on her find. Kick Em Up Kimber made a nice move across and around the cattle pasture and cast to the far end of the olive orchard in which point was called at 20 with all in order. Kimber crossed the road and stayed nicely and consistently forward across the large cattle pasture and entered the prairie grass field toward the ponds. She made the turns working the hillside in the small cattle pasture and crossed the road with Jarrett casting nicely across the large cattle pasture. Jarrett gathered Kimber at the road crossing sending her across the picked corn field. At 51 point was called with a stylish find in the prairie grass edge. Kimber ran the edge between the standing rows of corn and brush thicket and around the corner. As she ran the edge, point was called on her final find just before time expired with everything in good order and garnering her winning performance. The runner up honors went to Bam Bam, owned by James Gingrich and handled by his son and pro trainer Brian Gingrich of Illinois. Bam Bam ran in the four brace of the stake and the first brace after lunch on course one and was carried until being bumped by Kimber on day two. Bam Bam is a 4 ½ year old who is really starting to come into her own. Bam Bam has a fast, smooth running gait and attacked the front half of the course nicely. Her brace mate, BGK’s White Lightening was picked up by handler Jarrett Bell after an infraction on a find. Bam Bam cast nicely across the large pasture from the first road crossing and into the thicker back grass field and made the turn. At 30 off the mowed path Bam Bam carded a find along the thick cover. Bam Bam continued on making the swing at the pond and cast up along the hillside and point was called by Gingrich at the field end just over the hill in some brush at 41. She looked stylish on a pair of birds and was taken on crossing the road into the large pasture. She cast nicely across and around the edge and was gathered by Gingrich outside the gate and crossed the road into the picked corn. Bam Bam cast to the far corner disappearing past the corn into the smaller bean field left the lake and point was called at 53. Bam Bam stood stylishly as a pair where flushed near some small cedar trees. She finished nicely to the front and was named runner up. The stake offered many other nice performances with some very nice bird work and the judges commented that they enjoyed the stake and that the breed should be proud of how the dogs and handlers continue to improve and develop. We had 14 nice young dogs compete in a competitive derby stake. The honors went to Louie owned by Bill Elliott of Harvard IL. Louie had a nice strong forward far reaching race with 2 nice evenly spaced broke finds. Louie's first find was after a nice cast across the large cornfield, into a bean field straight to the front. Louie worked nicely stretching forward and carded his second find at 25. Second went to Shiloh’s North Field 3 Pete “Luca” owned by Tim and Linda Wilgohs of MN and bred and handled by pro Robert Tomczak of WI. Luca has a very fast, snappy, animated way of going and ran the edges well but not at the more extreme range of the winner Louie. Luca carded three nice evenly spaced finds and finished nicely going away in the big field across the creek. Third place honors went to CK Rommel’s Rudy “Casey” bred, owned, and handled by Ron Chenoweth of IL. Casey had a strong and sometimes far reaching race with 1 find but was not as smooth and consistent as the others. Casey was fast on the ground and finished strong to the front. There were 30 dogs entered with 29 coming to the line. The winner was Another Mai Tai Please “Ty”, owned by Chad Chadwell and Nancy Brown and handled by Chad. Ty was braced with Rueben’s Midnight Mark “Marko “owned and handled by Paul Howard and ran in brace 4 on the first day and started on course 3. Point was called at 7 along the right side of the big bean field for Marko with Ty backing. Upon the flush of a pair of birds Marko took some steps and was picked up by Howard. Chadwell moved on with Another Mia Tai Please and Ty proceeded to run the bean field edge beautifully and carded a find at 10. Ty transitioned well into the milo field and swapped ends at 16 looking high and tight. Chad took him on and Ty worked the front nicely as he made his way through a number of thick grass fields. Point was called along a stand of olives at 23 again with all in order. At 31, point was called before the road crossing. Birds could not be produced and Chadwell relocated his charge. Ty pinned the bird again looking high and tight. He finished the rest of the hour in a nice consistent forward pattern and was named our winner. Kick Em Up Kimber continued her winning ways for Jarrett and Allison Bell and had another nice strong consistently forward race with 6 finds in the hour. Kimber had finds at 15, 30, 40, 50, 55- a large covey along the fountain grass by the pond and at 57 coming out of the chute by the road crossing. Kimber had a very nice consistent performance earning her the runner up title. Thanks to all who supported this event and we look forward to seeing you all at other NVA championships, as well as, this event next year October 28 to November 3rd at Pyramid State Park.